Dan’s Papers, a venerable newspaper institution in the Hamptons for decades, filed for Chapter 11 protection last week on Long Island. Often referred to as the “biggest paper in the Hamptons,” Dan’s Papers has graced the entryway of hundreds of East End establishments. 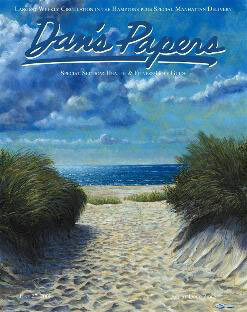 I’ve read Dan’s Papers as long as long as I can remember, every time I ventured to the Hamptons or Montauk. The paper always had a unique quirky feel and I often read it on the sand at the beach. It seemed to set the tone for the Hampton’s community. Bankruptcy Filing Information for Dan’s Papers / Brown Publishing Co.
On April 30, 2010, Brown Publishing Co., the publisher of Dan’s Papers, filed a Chapter 11 case in the Central Islip Bankruptcy Court which is in the Eastern District of New York. The case number is 10-73295. There are 14 other affiliated bankruptcy filings. The debtor is being represented by Edward M. Fox, Esq. of the New York City office of K&L Gates LLP, an international law firm with 1,900 attorneys. The case is assigned to Central Islip Bankruptcy Court Judge Dorothy T. Eisenberg. According to details reported in the bankruptcy filing, Brown Publishing is a closely-held Cincinnatii-based company. The debtor and its 14 affiliates had assets of $94.1 million and debts of $104.6 million in the period just before filing. The debtor’s attorneys filed a flurry of first-day orders. Judge Eisenberg presided over hearings on these motions last week. Some of them were adjourned to June 1, 2010. How Much of a Retainer Did the Debtor’s Attorney Receive? The debtor paid K&L Gates a pre-petition retainer of $350,000. They also disclosed their billing rates which are $675 to $935 for partner-level attorneys, $290 to $550 for associates, and $260 to $270 for para-legals. In the one-year pre-petition period, K&L Gates billed the debtor $620,919 for fees and disbursements. One aspect of the attorney’s application for retention that I found fascinating was that K&L Gates did a conflicts search prior to filing. They disclosed that of the debtor’s 1,250 creditors, the law firm identified 483 persons or entities which are creditors or parties in interest that they represent in unrelated matters or may have represented in the past. K&L Gates agreed not to represent any of these parties in any matter adverse to the debtor or the bankruptcy estate. It will be interesting to see what the position of the U.S. Trustee is regarding these conflicts. The debtor stated that the paper lost a significant amount of advertising revenue. This was due in large part because a large part of Dan’s advertising is for real estate, and the East End real estate market has suffered markedly. Dan Rattiner, who is now in his seventies, began publishing East End papers 50 years ago. He started while he was still in college, just before his senior year. His first paper, the Montauk Pioneer, rolled off the press in 1960. Until the he recently sold the Dan’s Papers, Mr. Rattiner controlled almost every aspect of its publication. In a recent Dan’s Papers blog post, Mr. Rattiner proclaimed that the paper isn’t going anywhere. 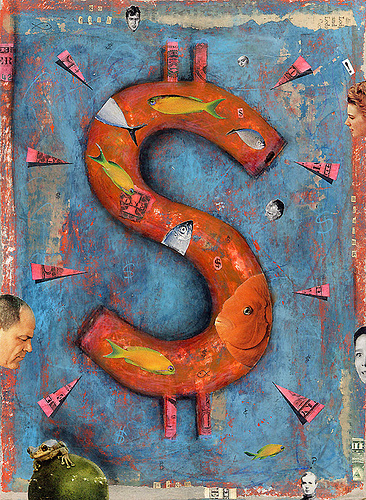 “Brown’s bankruptcy is not about shutting down and selling off the pieces. In fact, everything will be proceeding as normal. At the height of the real estate boom, which was 2007 to 2008, Brown Publishing embarked on a debt-financed expansion strategy and bought the paper from Mr. Rattiner. They also bought up dozens of other papers across the country. Brown Publishing is one of the largest newspaper publishers in Ohio. What makes Dan’s Papers very appealing is that the household income of its readers averages a whopping $381,000 per year. Unfortunately, this newspaper bankruptcy filing is just one of many that we’ve seen in this country over the past two years — victims of the recession as well as a trend against advertising in print media. The Los Angeles Times and Chicago Tribune (former owner of Newsday) — two behemoths of newspaper publshing — have both sought Chapter 11 bankruptcy protection. In the bankruptcy filing, the petition indicates that the debtor owes its five largest secured creditors $70.5 million, and that there is collateral with a book value of $94.9 million covering this debt. The largest unsecured creditors appear to be providers of newsprint. These include Abitibi Consolidated Sales, a unit of AbitibiBowater Inc, who is owed $296,256; White Birch Paper Co, who is owed $219,150; and Page Cooperative, who is owed $195,680. Who Are the Affiliates of Brown Publishing? Brown has a number of affiliates including Delaware Gazette Co., Texas Business News LLC and Utah Business Publishers. Brown publishes 15 paid daily papers, 32 paid weekly papers, 41 free publications, 11 paid business publications, and 51 newspapers. Foreclosure cases are increasing again on Long Island according to a report that was published in yesterday’s Newsday. In January, there was a 23 percent increase over last year in foreclosure proceedings that were commenced on Long island. This included 504 homes in Nassau County and 626 homes in Suffolk County — a total of 1,130 homes for the month. Many New York Foreclosure Suits Are Dismissed Because They Are Defective . I discussed how many foreclosure proceedings are sloppily prepared, creating all sorts of defenses for the homeowner. 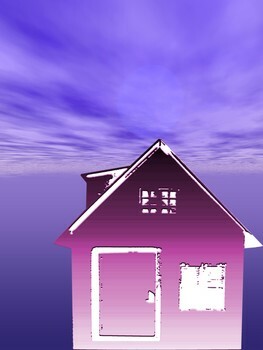 Mortgage Companies Entitlement to Bring Foreclosure Proceedings: Prove It or Lose It . Mortgage companies sell and assign their mortgages so frequently that sometimes the mortgage company bringing the foreclosure proceeding doesn’t have the legal right to do so. One-Fourth of All U.S. Homeowners Are Underwater. What Should These Homeowners Do? . If there is no equity in your home, you may want to explore certain options. Foreclosure Law Discussed by Four Suffolk County Supreme Court Judges. Judges at a recent seminar gave some valuable advice about defending Long Island foreclosure suits. Chapter 7 Cram-Down of Second Mortgages. A new Long Island bankruptcy case gives Chapter 7 debtors the ability to wipe away second mortgages under certain circumstances. Bankruptcy Can Provide Way Out of Bad, Highly-Leveraged Real Estate . Homeowners in foreclosure should consider bankruptcy as an option. Many Owners of Million Dollar Homes Filing for Bankruptcy. Even those with expensive homes can consider bankruptcy as an option. Federal Crackdown on Mortgage Modification Companies . Homeowners beware. Most mortgage modification companies will rip you off. Is a Short Sale a Reasonable Alternative to Foreclosure on Long Island? Think twice about considering a short sale as an option. It’s no wonder that I’ve been especially busy helping Long Island homeowners save their homes from foreclosure. Some recent statistics show that the number of Long Island homes that fell into some stage of foreclosure climbed 37 percent last year, with Suffolk homeowners seeing more such activity than all but one county in the state, according to a newly released breakdown of the foreclosure crisis that was reported in Newsday yesterday. Foreclosure on Long Island has been especially prevalent. The data shows that 7,582 Suffolk County homes were in some stage of foreclosure last year. This represents a 29 percent jump from the preceding year when 5,885 homes were in foreclosure proceedings. Those homes equate to 1.39 percent of Suffolk households, including renters, which is second only to upstate Orange County’s 1.4 percent. In Nassau, the number of homes directly affected by foreclosure last year shot up 48 percent to 6,064 properties, or 1.32 percent of households, up from 2008’s 4,099 homes. That 1.32 percent put Nassau County fifth in the state for foreclosure activity. Only Queens had more homes directly affected than Suffolk County, 8,248 homes. Initially there was much hope that Obama’s federal mortgage help program would do something to stem the tide of foreclosure. Unfortunately, the help that many struggling homeowners had hoped would come from the program never came. Just last week I reported Obama’s “Making Homes Affordable” Mortgage Modification Program Failing . 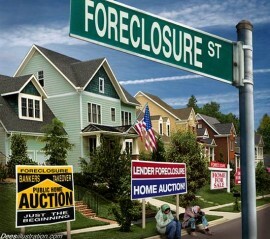 As it turned out, 2009 broke monthly records nationwide in foreclosure activity. To make matters worse, the rescue system was strewn with problems. Loan modification and foreclosure prevention programs have been heavily criticized for being clunky and disorganized. Even though I am quite busy defending foreclosures and helping other homeowners stop foreclosure and pay their mortgages back through a Chapter 13 bankruptcy on Long Island, I will not do mortgage modifications, except in the rarest of situations. I even wrote about this last summer: Why I Won’t Negotiate Loan Modifications . The number of foreclosed homes in the U.S. last year increased to a record 2.8 million, a 21 percent rise over 2008 and 120 percent over 2007. Half of the foreclosures in the U.S. last year occurred in Arizona, California, Florida and Illinois. California had the most, with 632,573 foreclosed properties (up 21 percent from 2008), Florida posted 516,711 (up 34 percent), Arizona had 163,210 (up nearly 40 percent) and Illinois reported 131,132 (up 32 percent). The foreclosure image above is printed with permission from illustrator David Dees, who takes delight in creating unusual, striking and provocative political activist illustrations. Check out his website. Accountants have tax season. Bankruptcy attorneys have bankruptcy season. With Christmas behind us, it is just a question of a few more weeks before bankruptcy season begins. Bankruptcy attorneys typically see a seasonal trend of creditors seeking redress, pushing individuals and companies over the edge, keeping bankruptcy professionals busy. After being a Long Island bankruptcy lawyer for 25 years, I’ve observed that the December holidays lead most people who are troubled with serious debt problems to put off getting help. However, the advent of a new year, combined with the added pressure of bills from holiday purchases, causes many consumers with overwhelming debt to make that appointment to see a bankruptcy lawyer. From a psychological perspective, there are even those in debt who realize that bankruptcy is inevitable, but take a last fling around the holidays, trying to go out in style and deal with the consequences later. Doing so is not consistent with the good faith that is necessary to go into a bankruptcy filing, but, to the dismay of creditors, the small minority of consumers who engage in such frivolity usually get away with it. Perhaps another reason for bankruptcy season is the concept of getting a new start for the new year, or making resolutions to find out how bankruptcy can eliminate bills and debts. But whatever the reason, my Long Island bankruptcy law practice always starts picking up in mid-January. The economy is affecting country clubs, too. After last year’s Wall Street meltdown, country clubs have been hard hit. Long Island country clubs have been dealt an especially hard blow as many of Bernie Madoff’s investors reside here, and after they have lost big bucks, they no longer have the necessary funds to pay for luxuries like five-figure country club membership fees. The Woodcrest Club, Inc., located in Syosset, New York, filed for Chapter 11 relief on December 10, 2009 in the United States Bankruptcy Court for the Eastern District of New York, in Central Islip. The club’s membership dropped down to just 125 members, from about 300 this past summer. The Club, which is on 107 prime acres on Long Island’s North Shore, has more than $1 million in unpaid vendor bills and employee wages. The club also incurred large debt from a recent multi-million renovation of its facilities. To compound the club’s problems, its mortgage contains covenants that are cost prohibitive to incurring subordinated debt or re-financing outside of bankruptcy. One of the members came through as a white knight to try to rescue the club. John Bennardo, a general contractor and resident of Cold Spring Harbor, who’s been a member since 2002, agreed to lend the club, as a debtor-in-possession, about $2 million. In doing so, he would also become the Woodcrest Club’s general manager and run it for at least five years. Bennardo is the owner of Manhattan-based Legacy builders. The case is pending under Case No. 09-79481 before Judge Dorothy T. Eisenberg. The debtor’s attorney is Gerard R. Luckman of the SilvermanAcampora LLP firm in Jericho, New York. This is the firm of Long Island Chapter 7 trustee Kenneth Silverman. Technically, the debtor is a non-profit, member-owned corporation. The debtor currently employs twenty-seven employees and has five officers. The Debtor holds title to approximately 107 very desirable acres of real property in the exclusive Village of Muttontown, with a current approximate value of $18,000,000. The Debtor’s liabilities total approximately $9,787,000, of which approximately $57,341 is for priority unsecured vacation pay, and approximately $12,900 of withholding taxes owed to the Internal Revenue Service from a hole-in-one contest winner — perhaps the most unusual debt I’ve come across in a bankruptcy proceeding in quite some time. There is approximately $6,624,000 owed to secured creditors. The balance is owed to general trade creditors, arrears on equipment leases, and members that have already paid toward 2010 dues. At the time of filing, there were four pending actions against the debtor, with the following parties as plaintiffs: (i) Wheatley Bakery 2 Inc.; (ii) Sigis Pastry Shop; (iii) Encore Events; and (iv) Big Z. Beverage. The Meeting of Creditors is being held on January 5, 2010 in Room 561 at the Central Islip Bankruptcy Court. Hearings on post-petition financing and first-day orders occurred earlier this week. An order authorizing the payment of pre-petition employee wages was signed today. A status conference before Judge Eisenberg is scheduled for January 14, 2009 in Courtroom 760. The next storm to hit the housing market will be caused by the wave of defaults on pay-option adjustable rate mortgages according to an article in the Wall Street Journal yesterday. The problem is part of the sub-prime mortgage meltdown. Between two and four years ago, an incredible number of homeowners took out pay-option adjustable rate mortgages (ARM), especially here on Long Island. A very large number of our clients who own homes have such mortgages. Now, with these mortgages starting to reset to much higher rates and exorbitant monthly payments, many homeowners will be unable to afford them any longer. There can actually be a flood of defaults. Many Long Island communities have a great majority of homeowners who refinanced their homes with ARMs. 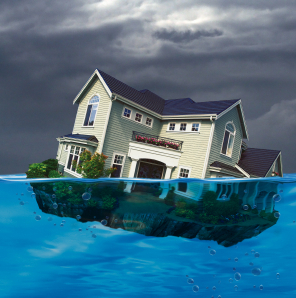 The rate of delinquencies and foreclosures on ARMs is extremely high, in large part because so many of these homes are underwater and have no equity. 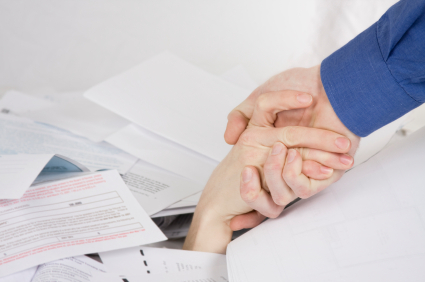 The Long Island bankruptcy attorneys in our firm meet with homeowners on a regular basis who are facing this dilemma. Fortunately for them, they have various bankruptcy options. With some, we recommend Chapter 7 bankruptcy which enables them to stay in the home for a period of time without having to make any payments. Then, they can move out and not have to worry about any deficiency obligation on the mortgage, as that is discharged in the bankruptcy proceeding. With other clients who may have several mortgages, we may recommend Chapter 13 bankruptcy as there is a mechanism in that type of bankruptcy to eliminate the second mortgage if he house has lost a great deal of value. For those Long Island homeowners in financial difficulty, it makes sense to quickly meet with an experienced Long Island bankruptcy attorney. Able Conklin’s Restaurant, a well-known eclectic steak house in Huntington Village, filed for Chapter 11 protection several weeks ago. Conklin’s Chop House, Inc., and Original Able’s, Inc., two separate companies which own the restaurant and its liquor license, filed separately for Chapter 11 bankruptcy relief on August 14, 2009 in the Central Islip Bankruptcy Court under case number 8-09-76071 and 8-09-76079. Debtor’s counsel made an application to jointly administer the two cases which was granted by Judge Robert E. Grossman, who is now the assigned bankruptcy judge for both cases. One of the cases had originally been assigned to Judge Trust. 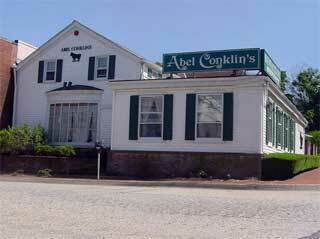 The restaurant was established in 1986 in the historic house built by Abel Conklin in 1841. The restaurant, which is located at 54 New Street, in Huntington, is being represented by Huntington bankruptcy attorney Avrum J. Rosen of Huntington and his associate, Fred S. Kantrow. The restaurant is located just a few yards from Mr. Rosen’s office. According to the Statement of Compensation filed pursuant to Rule 2016(b), the debtor paid Mr. Rosen a retainer of $10,000 plus disbursements of $2,078. The fee application listed Mr. Rosen’s hourly rate at $425 per hour. The debtor’s assets consist of approximately $105,000 of personal property for both corporations and the debtor’s liabilities are approximately $583,000 for both corporations. The debtor is being treated as a small business debtor pursuant to the Bankruptcy Code. The Meeting of creditors will be held on September 25, 2009 at the United States Bankruptcy Court for the Eastern District of New York in Central Islip (Room 562 at 9:00 a.m.), and the first Status Conference before Judge Grossman will be held on October 5, 2009 (Courtroom 860, 1:30 p.m.). This post is one of a series of posts available on the Long Island Bankruptcy Blog detailing every Chapter 11 bankruptcy case filed in the Central Islip Bankruptcy Court since August 1, 2009. I will typically post a summary of each Chapter 11 case several days or weeks after it is filed as not all info is available immediately upon filing. To see a list of Chapter 11 cases profiled on this blog, click Chapter 11 Filings on Long Island or type the name of the debtor in the upper right search box. When I started my bankruptcy blog, I thought it would be a great idea to provide a summary of each new Chapter 11 bankruptcy case filed in Central Islip Bankruptcy Court, which is part of the United States Bankruptcy Court for the Eastern District of New York. I am proud to announce that I have begun to do this. You will now be able to find information about all Chapter 11 cases filed in the Central Islip Bankruptcy Court after August 1, 2009 by reading posts in the Long Island Bankruptcy Blog. Most information is obtained from public documents filed in the bankruptcy case. All Chapter 11 case information posts are in the category Chapter 11 Filings on Long Island . Several weeks after the close of each month, I will also provide a monthly index of those Chapter 11 cases filed on Long Island the previous month. If the severity of the recession affecting Long Island can be measured by the number of electric utility bill delinquencies owed to the Long Island Power Authority, then Long Island has been hit very hard. LIPA recently reported that there is now a record amount owed by customers who have been unable to pay their electric bills. Apparently, this figure has been rising steadily over the past two years. As of the end of 2008, 157,217 residential customers were late in paying their LIPA bills. This number jumped to 165,900 as of May 31, 2009, representing a total amount of $121 million in arrears. The shear amount of late utility payments is probably an accurate barometer of the Long Island economy. I personally witness the extensive amount of LIPA arrears daily as I meet client after client in my Long Island bankruptcy practice. Although I don’t keep such statistics, I’d say almost half of my bankruptcy clients have LIPA utility bills that we include in their bankruptcy petitions. Fortunately, utility bills such as LIPA are dischargeable in personal bankruptcy proceedings. By law, the utility company cannot terminate service merely because the customer has sought to discharge the utility bill. What Does LIPA Do When a Customer Does Not Pay? First, LIPA gives the customer a warning by mail. Then, LIPA gives more warnings and makes phone calls to the customer over the next two months. However, LIPA will not terminate service and shut off power until there are at least three months of non-payment. This is an option of last resort. Most customers will seek to work out some kind of payment arrangement. Even by paying a small amount, the customer can usually maintain electric service. If the customer cannot work out a satisfactory payment arrangement with LIPA, then LIPA will terminate service. In May, LIPA shut off service for 2,150 nonpaying customers. Even if a customer has entered into a payment arrangement or is on a budget, all electricity bill balances can be discharged in bankruptcy. Even filing a bankruptcy the day before a scheduled termination will prevent the termination from occuring.